Templates for MS Word 5.0.6 – Add style and class to your MS Word docs. Templates for MS Word gives a comprehensive selection of templates, from letters and brochures to greeting cards and books. 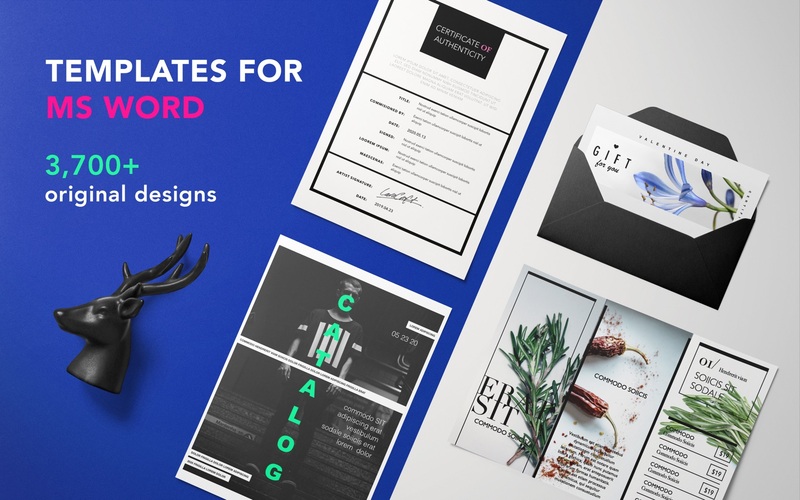 Most templates consist of several layouts, and the whole range of designs will undoubtedly meet your most diverse needs. Each and every layout — from the classic elegance of text-only pages to the perky mix of pictures and slogans in the poster and brochure templates — features quality design and great usability. +3700 templates now. If you think something’s missing or have any suggestions for content improvements. Next story Silhouette 7.0.11 – More Than Just Roto. Previous story Tenorshare 4MeKey 1.0.0.7 – iOS Password Finder. Templates for Photoshop by GN 1.4 – Templates for Adobe Photoshop.